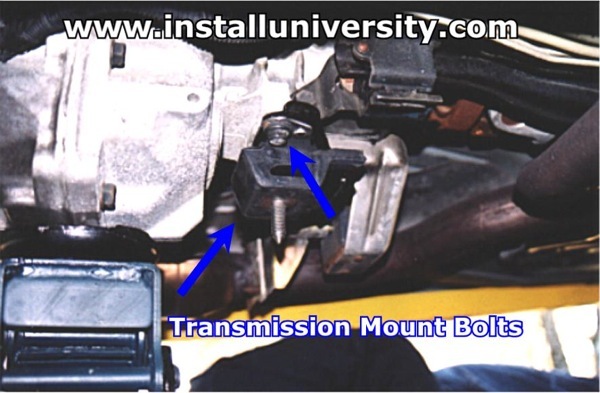 Purpose: To replace your transmission mount on your 6 speed manual transmission. Over time they become weak. This robs horsepower put to the ground, may cause your shifter to move more than normal under acceleration, the transmission to thump the bottom of the tunnel under your console or the y-pipe to bump the bottom of your car. 3. 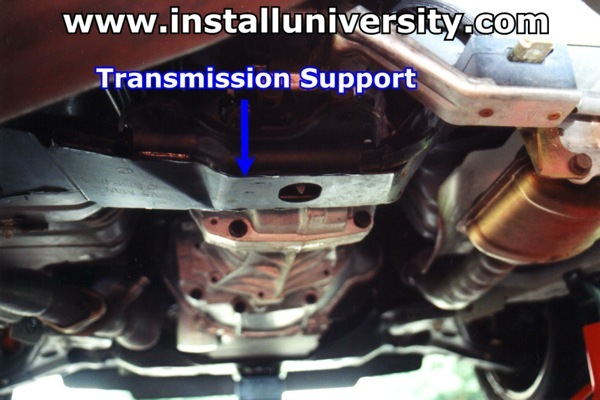 Locate the transmission support that supports the transmission in Figure 2. 8. Line the transmission support back up onto the mount and hand tighten about half way the four bolts (see Figure 7). 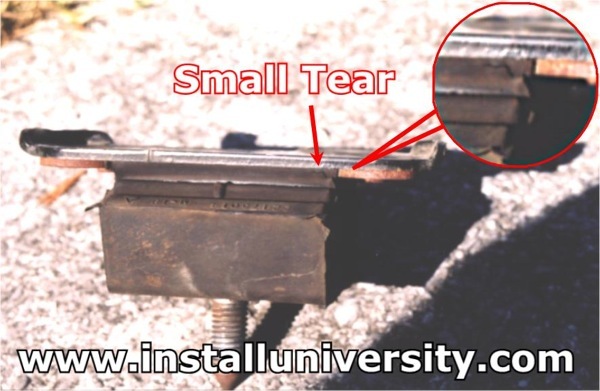 This will make sure you can move the support side to side because the bolt holes may not line up perfectly at first. If you have a problem lining up the bolts still, raise the rear of the transmission with the jack a little at a time until you get the bolts lined up. Finish tightening the four 15 mm bolts to 43 ft-lb.